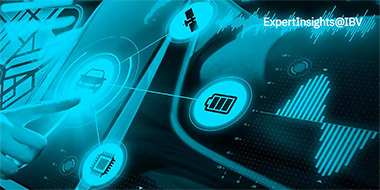 Part 1, Back to the Future: Autonomous Vehicles - internet of things blog. What does a future of autonomous vehicles look like? 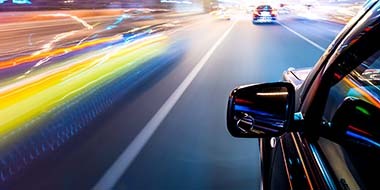 In Part 1, Back to the Future: Autonomous Vehicles, John McDonald, CEO at ClearObject, shares a vision of a world where intelligent systems and automation are the norm. Are you ready for the biggest one-time leap in human productivity – ever? First, some facts. The average American spends 101 minutes a day driving. You will have your driver’s license on average for 61 years (before your children take it away from you). That means you will spend a total of 37,935 hours of your life watching road reflectors zip past. If there are 221.7 million registered drivers in America, that means that collectively, we will spend a little over 8.4 trillion hours driving. 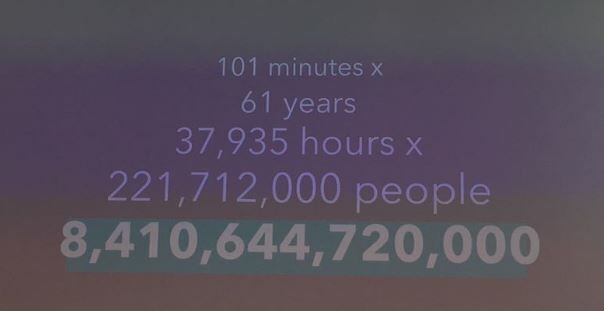 Collectively we will spend a little over 8.4 trillion hours driving. The first level is best represented by cruise control, which allows you to set the speed of your car. It will sustain that speed automatically, without your foot on the gas pedal. The next level – level two – is adaptive cruise control. This is what allows the car to automatically sense the distance between you and the car in front of it, speeding up, slowing down, even automatically braking if you’re at risk for a collision. Level three vehicles can be thought of as vehicles that offer lane departure warnings and adaptive cruise control. For limited periods of time, you can remove your hand from the steering wheel and the car will stay in its lane automatically. This capability is used in some high-end vehicles today. Level four autonomous vehicles can be preprogramed to drive from one location to another, not necessarily requiring driver input but enabling it as a failsafe. If the vehicle were to encounter a road closure, it would know to pull over and wait for driver input. Level five autonomous vehicles will have no steering wheel and operate without the driver physically operating the vehicle. While some of the earlier levels are decently pervasive in the auto industry’s commercial offerings, others are almost hard to imagine. Would it shock you to learn that Ford Motor Company, General Motors and most major car manufacturers have vowed to have a level four autonomous vehicle in the marketplace in the 20/21 model year? Two years from now you’ll begin to see fleet applications of autonomous vehicles – in trucking and select city center applications – where vehicles operate in exclusion zones designed with driverless operation in mind. Welcome to the future. What happens in a world without steering wheels? It means quite a few things will be changing. For one, there will not be a need for so many roads. The reason we have so many roads today is we must keep a safe distance between ourselves and the vehicle in front of us, necessitating the space to do so. In a world where the vehicles are free from the influence of human error, they can be run bumper to bumper without any real concern of an accident. As any race driver will tell you, less distance between cars is the best way to save on fuel. And, certainly this is true in the trucking industry as well. Platooning is what happens when vehicles that are running bumper-to-bumper. These platoons will move something like an over-the-road train – all being controlled by one computer module – each of them saving on fuel. Speed limits can then be drastically increased, or done away with all together. Autonomous vehicles don’t have to top off at 55 or 70 miles an hour. They can be run at 200 miles per hour now. That means that if you work in Munich you could go to Frankfurt for lunch; or if you live in New York, you could pop down to Washington DC for a date. 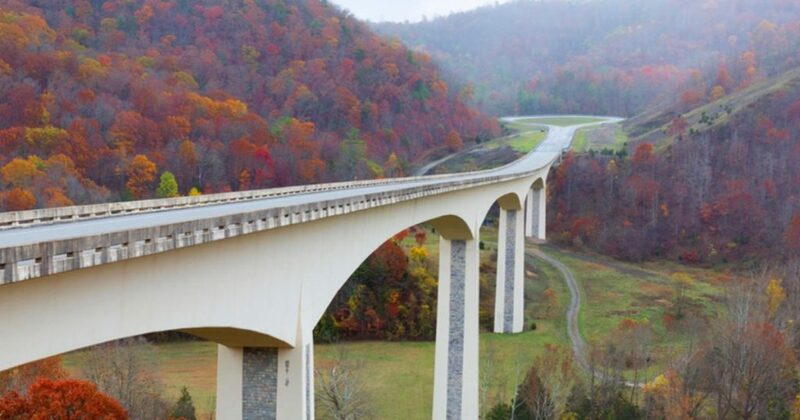 More than theoretical…there is a smart road in Virginia that is currently being used to test autonomous vehicles running at 240 miles an hour. The actual autonomous freeway system in Virginia. This stretch of road will be the first place in America where it’s illegal to be on the road with your hands on the steering wheel. This road will be autonomous vehicles only, validating and solidifying that the issue with vehicles today is not their speed, capability or overall performance, but the fact they are operated by error-prone humans that present too many variables. Obviously, this impacts your day-to-day life, commute and method of transport…but the impact reaches far beyond that. Apply this same idea to delivering packages. Let’s say you ordered a t-shirt on Amazon or something similar. Fifteen minutes later a vehicle that looks like the one in this photograph shows up at the end of your street. Coming out of the top of that UPS truck is a drone. Rather than flying them across the city, which is fraught with all kinds of legal trouble, drones will be more likely used to ferry packages from the curb side to your door step. 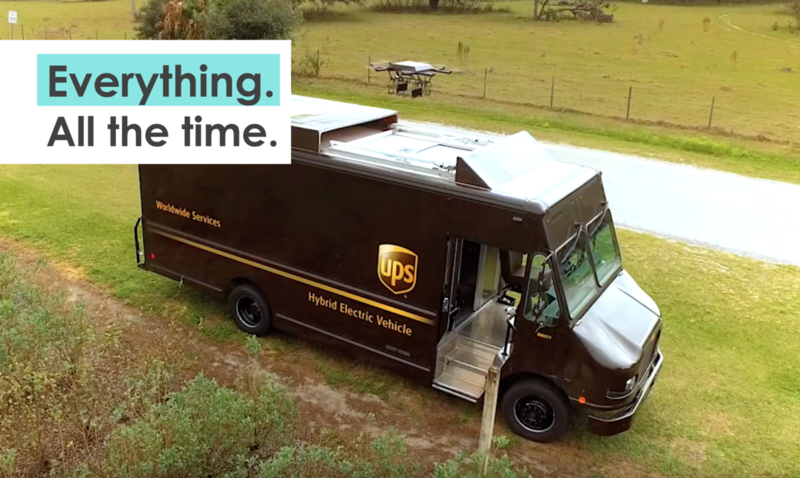 This is not a mock up, either; this is a real photograph of an autonomous vehicle drone system being piloted by UPS. You open the box and inside the box is the t- shirt. You put the t-shirt on and discover it’s the wrong size, so you put it back in the box and 15 minutes later this vehicle shows up again. A drone comes over, picks up the old box and puts a new one on your doorstep with the right size shirt. In this world, you don’t need stores. If you don’t think this is already happening, consider all the retail operations that have either gone out of business or closed more than 100 stores in the last six months. Brick and mortar shops are just not able to meet the various and instantaneous demands of their customer base. One of the main reasons we have hospitals is to grant access to equipment that is difficult to move, and provide people that know how to use it. In a world of autonomous vehicles, when it’s time for me to get an MRI on my knee, instead of going to the hospital or to a clinic, it could be a vehicle that pulls out in front of my house. When I get to the vehicle, I put a code on the door and the door pops open. What’s inside is an MRI machine where I sit down, push the big red button on the wall, and a MRI technician comes up on the screen to my left. On the right-hand screen comes another expert in interpreting MRI results. At that point I get up, walk out, close the door. The vehicle drives away. In that world, you don’t need as many hospitals, nor does healthcare need to be so costly. Now apply that same, mobile idea to recreational vehicles. If I live in Indianapolis, and I have a lot of meetings that I need to go to in Chicago, that’s three and a half hours away if I drive. If I want to go there for a meeting tomorrow morning, it’s kind of a pain to have to pack a bag, put it into my car, drive over to the airport, wait in line and go through security, fly, rent a car and drive into town. What if my hotel room came and picked me up and that the check in process became simply packing a bag and walking from my front door to the curb? I check in, get comfy and my micro-hotel room drives me to Chicago. In that world, you don’t need short haul airlines, hotels or rental car agencies. Time is money and it’s valuable. The examples in this article are just related to autonomous vehicles. 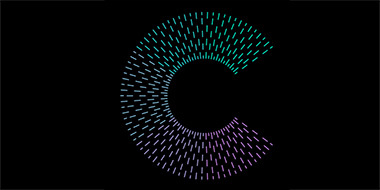 If you apply the concept of automation to everything that you touch and see in your daily lives – from the appliances in your home, to the machines in every factory, to the buildings that you live and work in – you only begin to scratch the surface of some of the amazing things in our connected world. That’s what happens when you start to take everyday devices and enable them to send data about what’s going on. In part 2, John explores what happens when the internet of people ends, giving way to the rise of the new data-economy. Overcome the complexity of connecting requirements, design, development and deployment. Discover how you can speed product development in a data-driven world. Learn more now. John McDonald is the CEO of ClearObject, Inc. Magazine’s fastest-growing IT company in Indiana for 2014, 2015, 2016 and 2017, and winner of the 2016 Entrepreneur Magazine 360, the 2016 Deloitte Fast 500 in Technology, the 2016 CRN Next-Gen 250 and 2015 and 2016 IBM Beacon Awards, the highest honor given to a business partner.